Chen 3 Jade In 2017, the sound of the sound of Lu Chun #3 Jade can be heard in the west palace in 2017. 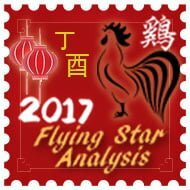 As we have the #3 Jade Annual Flying Star entering the west in 2017, please beware of possible theft, arguments, disputes, hot tempers and legal problems. Try and keep the west of your home as quiet as possible and avoid building work or renovations. To remedy the ill effects of the annual #3 star, you should use red decorative objects such as candles, lamps and lights. A nice simple cure to use in the west in 2017 is a red floor mat or a table lamp with a red shade. Do not use metal (metal colour is OK) to control this energy for you will aggravate it, restricting the beneficial influence brought by auspicious monthly stars in certain months and magnify its negative influence. It is important that you do not place a water feature inside your home or office in the west this year unless a professional Practitioner has advised you that it is safe to do so. Some books or websites that are available will tell you the #3 wood star is a good star in period 8, in our opinion it is still an unpredictable star and you should not try and activate it unless you are qualified to do so or you have used our software. It will become more usable towards the mid to later part of the 20-year period 8 cycle. 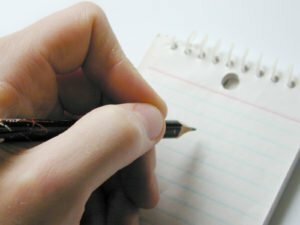 Ensure that documents signed during the year are checked through thoroughly before committing to anything as mistakes and not reading the fine print is a common attribute to Yin Fire Rooster years and can bring costly mistakes. The influence of a Chen 3 in Period 8 denotes possible arguments, disagreement and in extreme cases, this can result in lawsuits, either as a petitioner or a defendant. Either case there will be a loss of time, energy and wealth, so please be careful during 2017 especially if you have a main door in the west and if you can, try and use another door to enter and leave. You should also a hang a Ba Gua mirror with a Chinese i-ching coin on the rear for added protection in 2017. 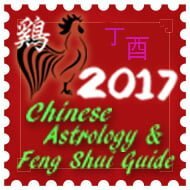 In 2017, we also have Tai Sui located in the west along with the annual #3 star which can be a dangerous combination if not treated the correct way. If your property or front door faces west in 2017, you must try to avoid the doors from slamming when entering or leaving your home or office. You should avoid digging or renovating your property in this area at all costs in 2017 if possible. If you have an office or shop door in the west this year, I would recommend installing a soft close attachment if possible and if you have children in your home, try to keep these doors from being slammed. The traditional Chinese method to appease Tai Sui is to place a Yi Bai Fu Mian Qi Sheng Chi Talisman and Tang Jie Tai sui gold plated plaque for 2017 to pay respect and appease the Deity. By paying respect to Grand Duke of Jupiter, we can weaken or avoid the problems this can bring. 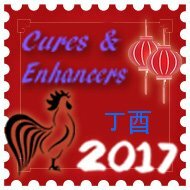 This is really important this year and we have included the yi bai fu mian qi talisman and Tang Jie Tai Sui plaque in all our annual cures and enhancers kits. 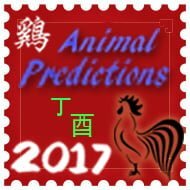 In 2017, the ruling Tai Sui is great general Tang Jie who is one of 60 heavenly generals. The Tai Sui plaque is plated in gold to represent wealth and was specially made for 2017, year of the Yin Fire Rooster to be placed in the west. The magnetic hematite is used to represent earth which creates a cycle of earth feeding Metal to enhance wealth in the west in the year of the Rooster. Place a light in the west. If you have the option, a lamp with a wooden stand and a peach/red shade is better. Do not hang wind chimes of any material in this area of the house, especially metal wind chimes as it will worsen matters. During hot summer months, make sure the fan is not located in the west. Take extra security measures for the whole home or business during 2017 and check smoke alarms. Check through everything before signing documents if office is in the west. Try not to let children or noisy animals play in the west. Beware of backstabbing, as sometimes it is unseen and behind your back and also from someone you thought you knew quite well.